Period movies often depict women and girls from the early 20th century in pinafores, yet I rarely find one. Utilitarian clothing was usually worn until it died; the remains were turned into cleaning rags. 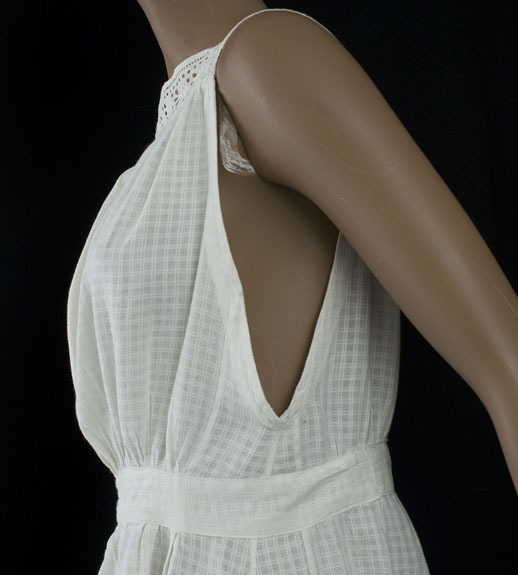 This remarkably intact pinafore is fashioned from white plaid cotton. 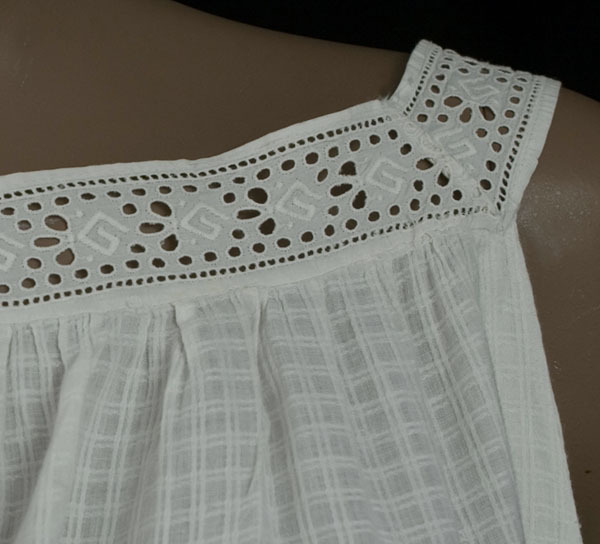 The bodice trim and shoulder straps are bands of eyelet. The sides of the bodice are open almost to the waist. The skirt is open in back below the waist. The waistband was let out to make it larger. 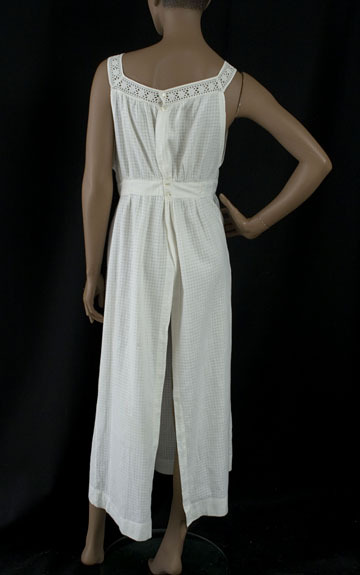 The pinafore closes in back at the neckline and waistband with small mother-of-pearl buttons. The condition is almost excellent. The pinafore shows gentle wear. 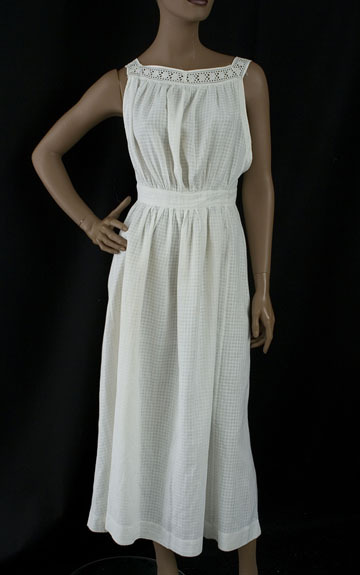 It measures: approximately 36" bust, 30" waist, 46" hip, 15 1/2" from the shoulder to the bottom of the waistband, and 51" from the shoulder to the hem.